Created in 1966 by Stan Lee and Jack Kirby, the Black Panther has since grown into one of the greatest, if not the greatest, hero of African descent in the history of major comic book publishing. Created in 1966 by Stan Lee and Jack Kirby, the Black Panther has since grown into one of the greatest, if not the greatest, hero of African descent in the history of major comic book publishing. The Black Panthers appearances in Jungle Action were initially masterfully written by veteran writer Don McGregor, he was ahead of his time in more ways than one. Black Panther was the first black comic book character to have a title of which he was the primary protagonist, outdating the Falcon and Luke Cage of Marvel and Black Lightning of DC Comics by years. Though many may assume otherwise, the Black Panther comic book character predates the actual Black Panther Party by almost a year. However, the synergy that was in the air regarding the uplifting of black people and the need for radical change regarding the way people of African descent were portrayed in all forms of media electrified the atmosphere. Co-creator Stan Lee would later change the name of the character to the Black Leopard, albeit briefly, because some kept assuming the book was some sort of homage to the Black Panther Party. It was eventually changed back to the original because readers simply did not care for Black Leopard much at all. Late, great Milestone Comics writer Dwyane McDuffie had this to say about Dons critically-acclaimed run on Jungle Action. This overlooked and underrated classic is arguably the most tightly written multi-part superhero epic ever. If you can get your hands on it … sit down and read the whole thing. It’s damn-near flawless, every issue, every scene, a functional, necessary part of the whole. Okay, now go back and read any individual issue. You’ll find seamlessly integrated words and pictures; clearly introduced characters and situations; a concise (sometimes even transparent) recap; beautifully developed character relationships; at least one cool new villain; a stunning action set piece to test our hero’s skills and resolve; and a story that is always moving forward towards a definite and satisfying conclusion. That’s what we should all be delivering, every single month. Don and company did it in only 17 story pages per issue. Though he was only a fictional character, the Black Panther was important for a multitude of reasons. First off, he was important to young, college-age black comic book readers because he represented a strong, intelligent and infinitely resourceful character that was the equal of such wildly popular characters as Captain America, Daredevil and the Fantastic Four. This was telling for a multitude of reasons, one of them being that it counteracted the mainstream, conservative notion that people of African descent were in need of white guidance at every turn and were incapable of the complex nuances often associated with other superheroes. The Black Panther is the symbol of office for the head of state of the mythical kingdom of Wakanda. It is a hereditary title but one that also must be earned via trial by combat as well. Because of the mythical iron ore vibranium, Wakanda has been technologically more advanced than the outside world for centuries, even isolating itself by way of that that advanced technology. Wakanda successfully avoided being colonized for centuries and had bested every invader, disaster and usurper up until fairly recently in the Marvel Universe- which was in direct contrast to what had occurred in the majority of countries on the continent of Africa throughout the age of imperialism and European expansion. The leading villain of the Black Panther also draws many comparisons to imperialism as well. Ulysses S. Klaw is a man of Belgium descent who kills TChallas father, TChaka, in an ill-fated attempt to capture the Wakanda vibranium mines. He was bested by young TChalla, who used Klaws own weapon to destroy his hand and cause he and his lackeys to flee. Though the understated yet unintended racism of having a black character appear in a book called “Jungle Action” cannot go unstated, it also is necessary to state that the Black Panther has evolved into one of the most powerful, resourceful and intelligent characters in Marvel Comics as was illustrated by his role in Avengers vs. X-Men, Civil War and the recent Secret Wars series. Over the years there have been multiple attempts to craft the persona of TChalla into one that was more to the liking of a finicky fan base. In addition to the aforementioned Don McGregor, other writers have included Christopher Priest, Ed Hannigan and film producer Reginald Hudlin among others. 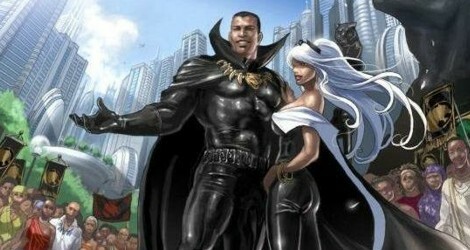 Though certain details of his life and personality are added along the way,including retconning a childhood relationship between T’Challa and Storm aka Ororo Munroe of the X-Men, the overall tapestry of T’Challa remains largely intact. Rumors of a new Black Panther comic book circulated for a while, and then Marvel dropped the bomb last September, revealing that critically acclaimed writer Ta-Nehisi Coates penning the new series set to launch in April 2016. Then in January, after a long and exhaustive search, it was announced that director Ryan Coogler had been selected to lead the upcoming project. Actor Chadwick Boseman had previously been announced as the Panther himself, continuing his successful run at playing characters with great significance in Black history. However, the success of the film Ant Man has pushed that project back. 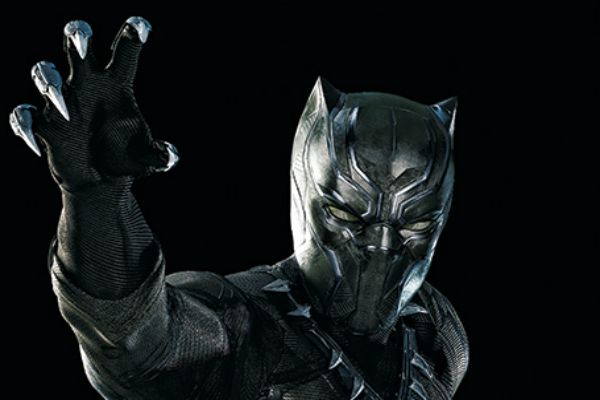 But The Black Panther will make his first appearance in the upcoming film Captain America: Civil War, which is slated to premiere May 6. A character developed during the Civil Rights era, one which is highly educated, brilliant, good looking, athletic, fearless and instilled with a strong sense of cultural pride, T’Challa was an inspiration to young Black children in the 60’s and 70’s. Seeing him in the pages of Marvel, teaming with the likes of The Avengers, The Fantastic Four, The Defenders, Fantastic Force (remember them? ), The Illuminati and The Ultimates was an amazing experience as T’Challa always was, and is, a key character in every storyline. Whether it was his understanding of a situation, his intellect or strength and speed, the Black Panther was a force. He had significance to those who wanted heroes of color to look up to. Last year we ranked the top 20 Illest Black Superheroes of all time and The Black Panther was definitely high up on the list. The Black Panthers dualistic nature as a fictional character with real world importance is unmatched by just about every major mainstream comic book character and his popularity in current day is just as strong as it was 50 years ago. Need proof? Listen to the reaction in the theater when he appears on screen for the first time this May.